Every book that has been scheduled into Build Your Library products has been specially curated for a specific purpose. It has been pre-read, evaluated and assigned to be read aloud by the parent or read independently by your child in accordance with the specifically themed topic being covered. But what do you do if your child hates the assigned reader, no matter how much encouraging, poking and prodding you do? If the book was scheduled to independently read by the child, try to read it aloud to them or find an audio version. Sometimes a child is just not able to comprehend as well when reading alone, and that makes them dislike reading. If you are finding the books too challenging, let them choose easier books for a time. Reading aloud those challenge books will take the pressure of decoding off of them so they can just listen and enjoy the story. We have several post on how to read aloud if you have additional issues. Sometimes coming back to a book, topic or assignment later on will be enough reinvigorate your child’s interest. There have been plenty of times in my personal reading life when I picked up a book I expected to love but just couldn’t get into it. Often, just setting it aside and coming back to it later did the trick. So why should we expect that our children shouldn’t have the same issue? Maybe they aren’t ready to leave Ancient Egypt yet, so set aside the books about Greece and let them linger where their interest lies. Perhaps it is not the book, but the reader? Just because a book is considered great, does not mean that every reader will enjoy it. That doesn’t make the book less great, it just means it’s not for you, or not for your child. Learning what kind of books we personally enjoy is an important skill, and letting our children know that they have some control over their reading preferences can go a long way into making them readers. If there is another book on that topic, perhaps you can try to find an alternate. Perhaps a book written by a different author will speak to your child differently. Perhaps a “thinner” book will look less intimidating, or shorter book will appeal to your child a bit more if the topic isn’t high on their interest list. A perfect example would be the Little House in the Big Woods assigned in our Level 0 program. This book is often either beloved or hated – there doesn’t seem to be a lot of in between. So if you find yourself in the hating camp, you might choose to read some of the picture book versions of the stories and call it good. Or you might seek out a different pioneering family book, like Caddie Woodlawn or Sarah, Plain and Tall. Especially in the younger grades, it is more important to become a fluent reader in general, rather than absorb a lot of information certain specific topics. So feel free to seek out other options if a book is just not working for your child. There are too many wonderful books out there to get stuck on a book that isn’t working. If you think your child just isn’t getting into the topic or can’t (or won’t) picture what is going on, you might try to find an engaging documentary that gives a visual representation of the time period or events that the book. Then go back and read the book with the visuals fresh in their mind. If the book has been made into a movie, you can try to let your child watch the first half hour of the movie to see it that will trigger an interest. Typically we try to encourage reading the book before watching the movie… but if you are particularly stuck on a certain book, this might just be the thing to build some interest. Sometimes you just need to stick it out. If this is a particularly important book, perhaps you can turn it into a family book club, and have mom or dad read it with them. Besides the normal discussion questions, you can talk about what you both liked and disliked about the book. Talk about what could be improved or changed. This becomes especially important when you hit the high school years. There will be challenging books that you just have to get through. You can also look up online discussions or book reviews by other people to see what they thought about that piece of literature. Make sure you can cover the finer points of the book that might be missed by an unenthusiastic reader skimming through and point out what the most important parts were. If all else fails, or if this is not a battle worth fighting… can this book simply be skipped? If your child regularly reads everything else, but this book is particularly difficult to get through… and if this book isn’t the most important book of his or her academic career, skip it. I have a longstanding rule in my house that we have to give a book at least 3 chapters. After that, if a book isn’t holding your interest, or it feels like drudgery every time you pick it up, then you can stop reading that book. There are too many books in the world to waste your time on one that isn’t working for you. When I wrote the Instructor Guides, they are just that, guides or suggestions. 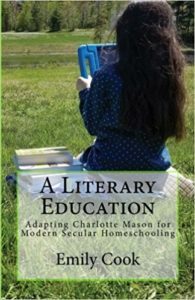 While all of my suggestions are well thought out, meticulously scheduled and cross-related to other topics and reading selections, you as the parent have the ultimate control of following, tweaking and swapping out any of your homeschool materials as you see fit, to perfectly suit your children. Story of the World (Levels 1-4) – There are some issues with this series, except it is the best resource of its kind for that age bracket. Is it 100% secular? No. Does Build Your Library skip or point out what material may be questionable? Yes. Is 99% of the rest of the material great? Yes. Girl in a Cage (Level 2) – I include a caveat about this one in the Instructor’s guide, because it can be a difficult story for sensitive children. But that being said, this is one of my favorite children’s historical fiction novels. Jane Yolen is a fantastic author and she does such a great job bringing the time period to life. Marjorie is a wonderful heroine – she’s so strong and brave despite all of the terrible things she has to go through. But if you think that this story might be too much for your child, feel free to skip it. Rebel’s of the Heavenly Kingdom (Level 4) – This, again, is not an easy story to read. But it is one of those rare gems, in that it covers a time period that you rarely see in children’s literature – the Taiping Rebellion in China in the mid-1800s. It’s a raw and gritty story, which is why I scheduled it as a read aloud rather than a book for children to read on their own. But like Girl in a Cage, the author does a masterful job of bringing this time and place to vivid life. Harry Potter Series – We can’t be friends, if you don’t like Harry Potter. Just kidding, (not really 🙂 ).